Springbok lock Franco Mostert will make his first start for Gloucester in a European Champions Cup match against the Exeter Chiefs on Friday. 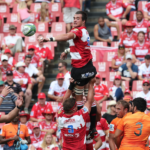 The Lions and SA Rugby are set to continue the fight for Franco Mostert after the lock made his Gloucester debut this weekend. 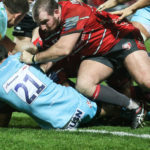 Franco Mostert is set to make his Gloucester debut after being a shock inclusion on the bench for their Premiership match against the Worcester Warriors. Gloucester coach Johan Ackermann says lock Franco Mostert has joined the squad, but is awaiting clearance from World Rugby to play. 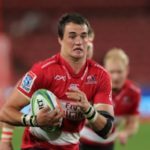 SA Rugby has asked World Rugby to intervene with and settle the ongoing contractual dispute between the Lions and Gloucester about the services of Franco Mostert. 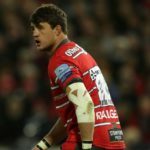 Franco Mostert will not make his Gloucester debut against the Bristol Bears on Friday. 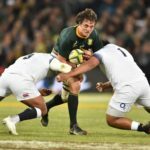 Springbok coach Rassie Erasmus says he has decided not to use Franco Mostert in Saturday’s Test against England at Twickenham. Rassie Erasmus says Gio Aplon may prove a useful alternative to Springbok fullback Willie le Roux on the four-Test tour of Europe this November. JON CARDINELLI reports from Stellenbosch. 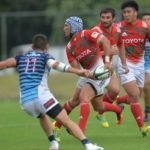 Johan Ackermann says he still expects Franco Mostert to be a Gloucester player following a dispute regarding the lock’s contract with the Premiership side.